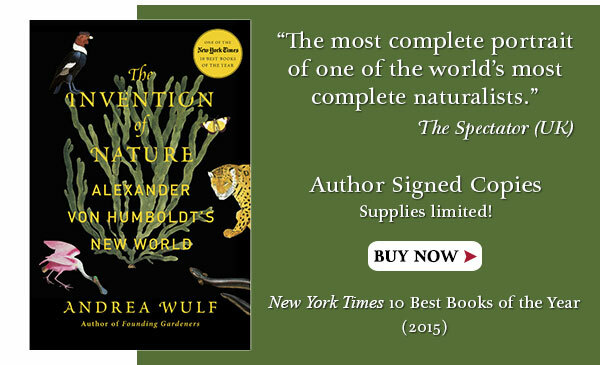 Andrea Wulf, the acclaimed author of Founding Gardeners, reveals the forgotten life of Alexander von Humboldt, the visionary German naturalist whose ideas changed the way we see the natural world-and in the process created modern environmentalism. 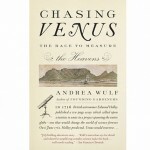 Von Humboldt (1769-1859) was an intrepid explorer and the most famous scientist of his age. In North America, his name still graces four counties, thirteen towns, a river, parks, bays, lakes and mountains. In 1804, at the end of a five year expedition in Central and South America, von Humboldt visited Washington, D.C., specifically to meet President Thomas Jefferson. President Jefferson was thrilled ot welcome Humboldt, and was eager to hear all about the lands south of the newly-acquired Louisiana Purchase. These meetings were the start of a 21-year friendship and correspondence on topics including science, politics and nature. ANDREA WULF was born in India and moved to Germany as a child. She lives in London, where she trained as a design historian at the Royal College of Art. 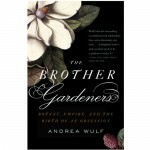 She is the author of Chasing Venus, Founding Gardeners and The Brother Gardeners. 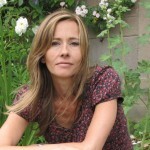 She has written for the New York Times, Wall Street Journal and the Los Angeles Times.